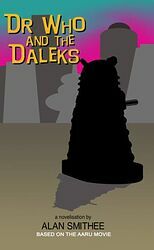 Doctor Dr Who and the Daleks (film) fridge magnet! Doctor Who and the Day of the Daleks. CHEAP! A superb read! Target Books.